The Fender CT-140SE is one of the best guitars fender has made for travelers. It is a great option for people that like to take their guitar with them wherever they go because it has a perfect size and a perfect shape. That makes it easy to carry around. The guitar itself is 23.5″ long, and that means that you can fit it into tight spaces such as your car & an airplane easily. 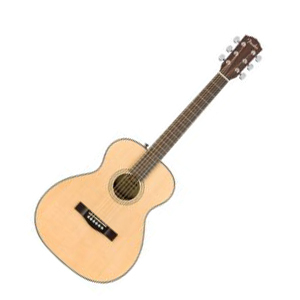 The Fender CT-140SE is an electric-acoustic guitar which can be used both professionally and by hobbyists. It features a Fishman Presys pickup and preamp system, which makes everything easier for you. 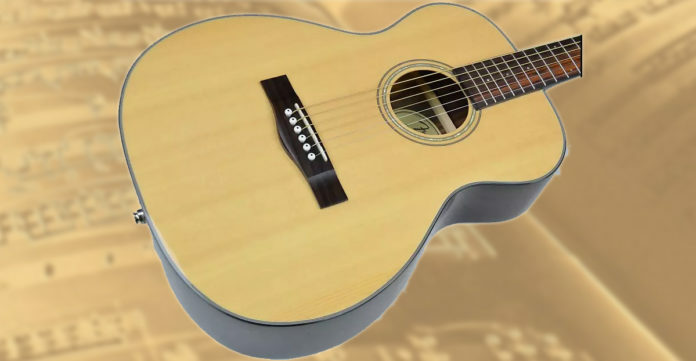 This guitar has a solid spruce top, which means that it will have a very clear and powerful voice, so you can play it on open areas without having to worry if it will have enough volume. Even though it’s a small guitar, the volume it is able to produce is amazing. The back and the sides of this guitar are made of laminated rosewood, which gives it a great look and feel. It’s a great guitar for beginners because the neck is made of mahogany and it is very easy to hold. The fretboard itself has rounded edges, which makes it easy to hold if you have smaller hands. As for the color, it is available in 2 options: Sunburst and Natural Wood color. I personally prefer the natural wood color because it looks cleaner. If you’ve been following GuitarSquid for a while, you would know that i like guitars that look simple. Another great thing about this model is that it comes with a very well-made guitar case. It’s much nicer than most of the guitar cases that cost twice the price. I would say that Fender did a really good job with that. The buckles of the case are very sturdy, and the lid strap is well secured, which makes it a great option for people that like to take their guitar with them wherever they go. Overall, i would highly recommend this guitar to beginners because of its small size. Getting a smaller sized guitar when you’re just starting out can be very beneficial for you because you can focus on learning to play instead of learning to hold it. It doesn’t cost too much when compared to some other guitars in this category, so i would say that it is definitely worth it for the price.